As you may have noticed, without an active leader the kinship has slowly turned into an empty shell. Because of this to long term inactivity of both members and leadership, I have decided to disband the Kinship. The way it stands now I just don't feel I'm the right person to run a kinship anymore, and when I return I'd rather be a normal member of an active Kinship then a leader of an inactive Kinship. So with great sadness in my heart, I feel it's time to say farewell to the Eternal Wanderers. If you would like to team up again with the people who remain active in LOTRO, please contact Vaegir on his main character Vaelen. Feel free to put my name on your friends list, hopefully Loksi and I will be active again in the game in the future. 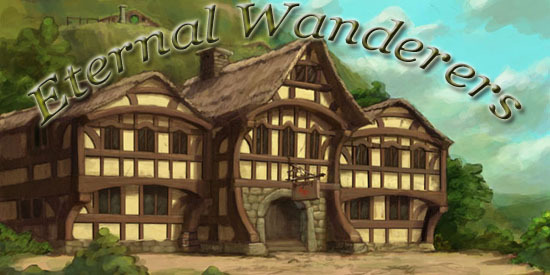 I had a great time in the Eternal Wanderers and there are no hard feelings, only happy memories from our time together.